... And the Results are in! 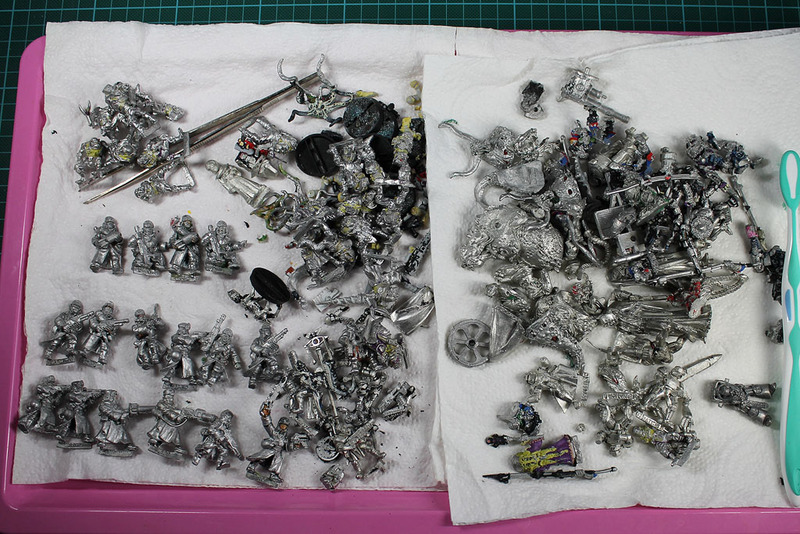 Well, two big jars filled with miniatures and mellerud and thats the finished product after some serious scrubbing. Some of the miniatures were probably painted 20 years ago with some crazy sticky primer. There are some nice old and rare miniatures among them, like the tyranid cultists and daemons. I built the second Colossal that i bought a few weeks ago. Its the Mercenary Colossal Galleon. Its quite large, even a little bit larger than the Khador Conquest, which irritates me as i thought it should be the biggest one. 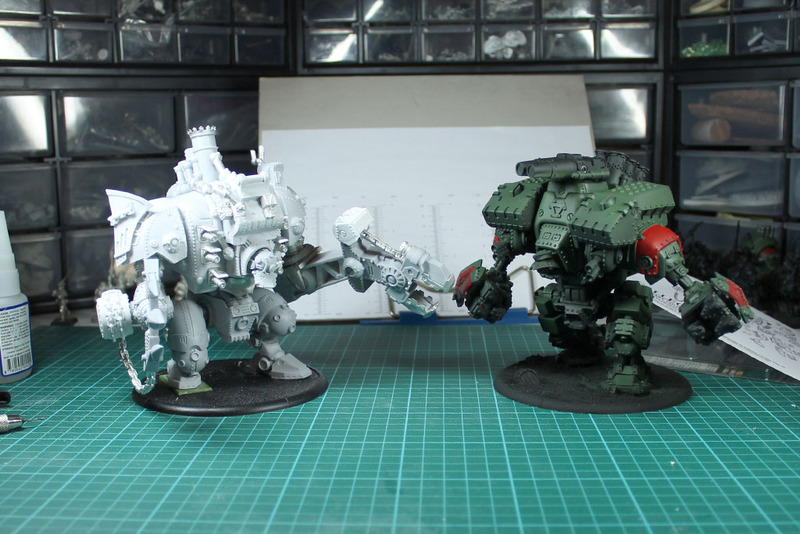 The casting quality is better than on the Khador, and the design is somewhat cooler. More on that one in an upcoming review. A small review package arrived the other day, some serious Zombies and Zombiehunters from Studio Miniatures. I am really looking forward to build the plastik kits. 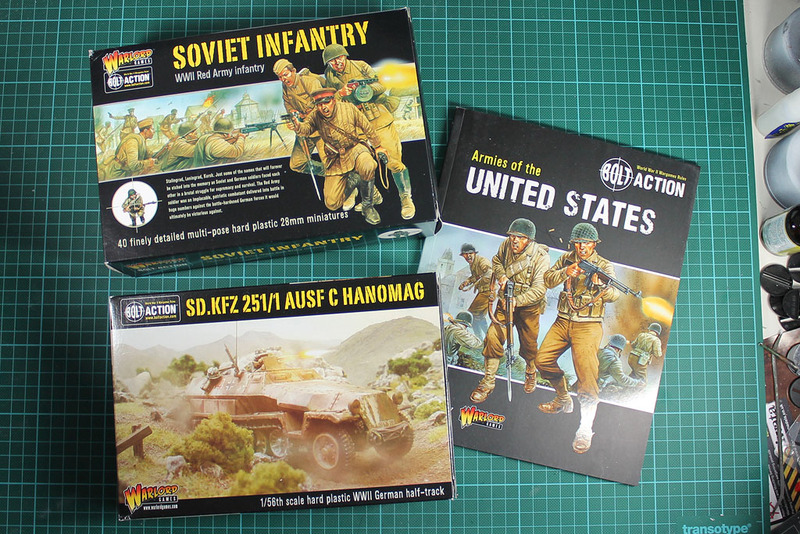 And a long, very long awaited package arrived as well, some of the latest Bolt Action products. The first impression of the book, Armies of the United States, is really amazing. They continue at the high level of the prior books. The plastik kits improved as well, the soviets are a step further than the other infantry boxes and the sdkfz is not bad for a first try on vehicles. Eindrucksvolles Ergebnis, welches Mellerud-Produkt war es denn?